Valentine’s Day means much more than just a card and box of chocolates here at Unique Environmental Landscapes – it also means it is time to prune your roses! 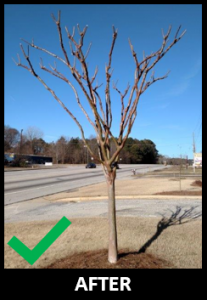 Todd has a few tips to share with our Atlanta metro area commercial and residential customers about how to best prune those roses to ensure a beautiful outcome later this year. Post by Unique Environmental Landscapes. 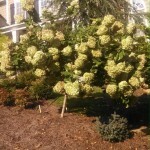 Atlanta Landscaping Tip: It’s Time to Lime! 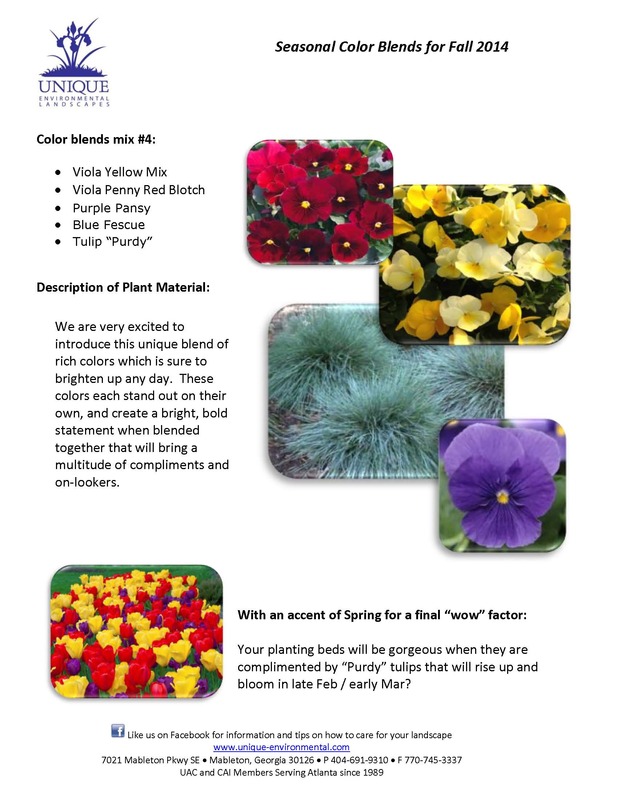 Even when your Bermuda and Zoysia turf is dormant, there are things that can be done over the next couple of months to prepare your lawn for a beautiful spring green-up. 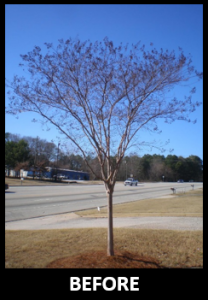 In the Atlanta metro area, we recommend applying lime during the fall and winter months because it will treat the soil, not the grass. Applying it now allows it to break down and change the soil pH for the warm spring days to come just when your grass starts to break out of dormancy. Waiting until later in the spring could possibly burn actively growing grass. We are in the process of sending out Lime Proposals to our current clients. 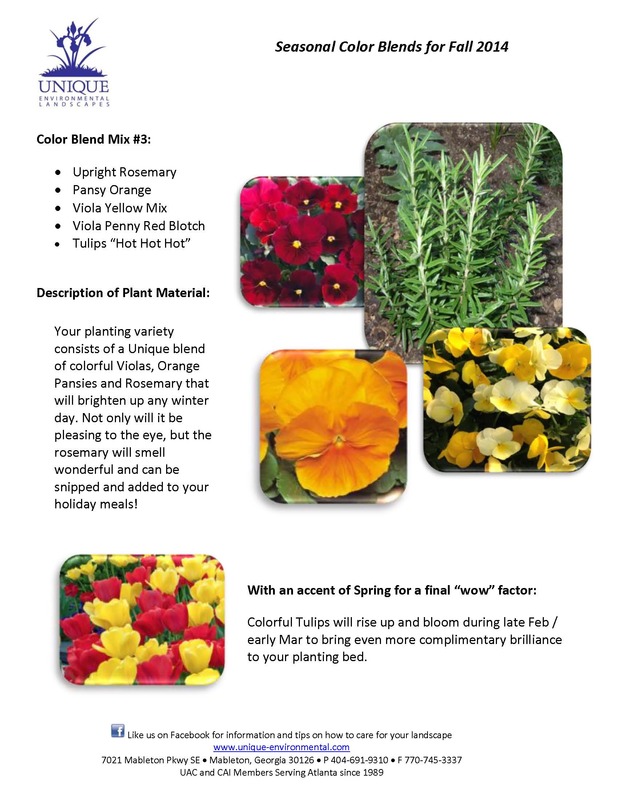 If you haven’t received one and would like more information, please contact Michele at (404) 691-9310 or michele@unique–environmental.com. Thinking about Scalping Your Lawn? Please don’t just yet. With the warm days that we’ve recently had in the metro Atlanta area, you might feel that temptation to get out and scalp your Bermuda or Zoysia turf in preparation for spring. Please don’t. Scalping it too soon could cause it to green up prematurely, leaving it susceptible to cold damage when February and March roll around. Lightly mowing over the top to even out the turf is okay, but wait until late February or early March before you get to the point of lowering the turf to the ground. 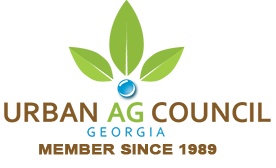 The Georgia Urban Ag Council has recognized Unique Environmental Landscapes with a number of prestigious awards for their work on residential and commercial (HOA) landscape projects throughout the Atlanta metro area. We are thrilled that the judges recognized the value of our work. Comments: Turned challenges into positives. Excellent handling of drainage, all stone matches, makes you want to walk through – KNOCKED IT OUT OF THE PARK. Comments: Raised property values – landscape is not an asset. Nice contrast of circle shapes with square. Not just good from stree, good from inside. Well-told story, good narrative. Comments: Concrete and terrace level created a destination. Love the redo of the pickets, matches the house. Spaces for all ages to enjoy, very inviting. Comments: Nice evergreen structure. Japanese Maple echoes brick color nicely. Huge difference from start to finish, raised property value. If you’d like to have an award-winning landscape design, contact us today! * Start at the bottom and work your way up the tree. 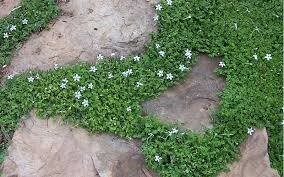 * Prune off small sprouts from the trunk. * Limb up the tree by pruning any branches that are coming out of the side of the trunk. 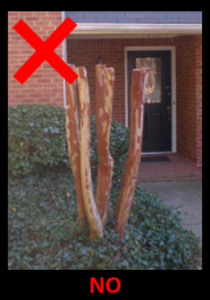 * Remove any smaller branches that may be growing towards the inside of the tree. removing any branches that are overcrowding other ones until you achieve the shape that you like. 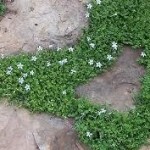 There are other various techniques that can be used, depending on the surrounding landscape. resilient and bounce back from this abuse, we do not recommend it as it can cause weak branches, less flowering, powdery mildew and aphids. 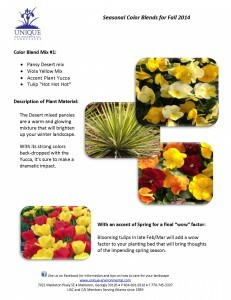 For more information on landscape maintenance, contact us today. 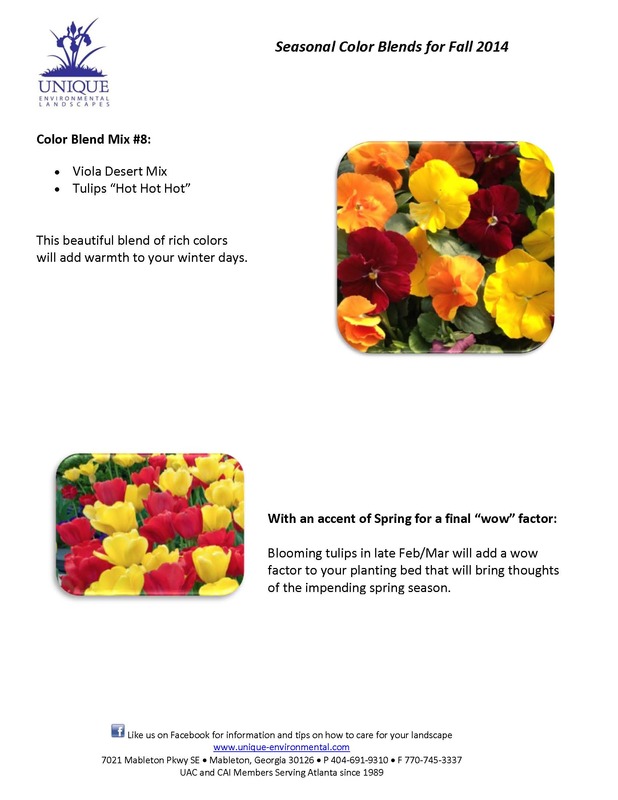 Our picks for the 2014 Fall seasonal landscape color blends are here! Call us today. 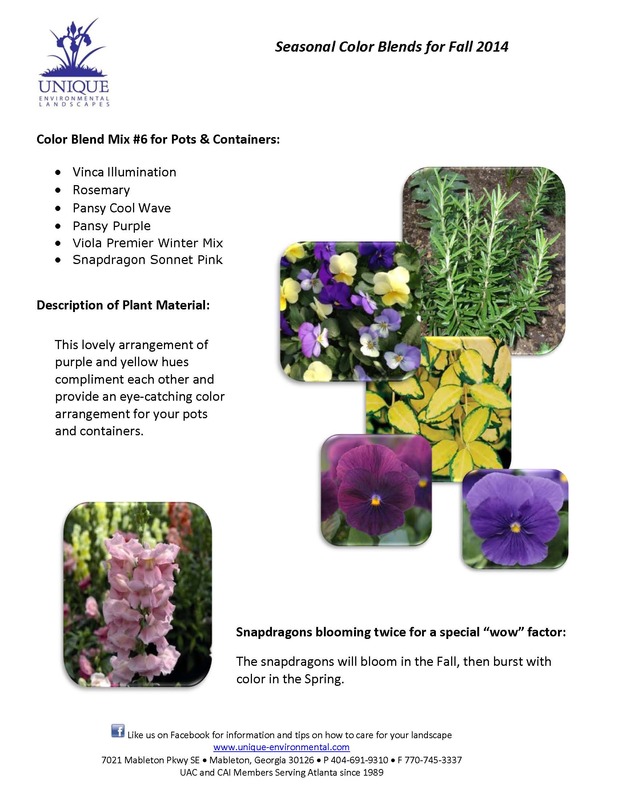 Unique Enivronmental Landscapes won ‘Best in Show’ for Landscape Garden at the 31st annual Fall 2014 Atlanta Home and Garden Show held September 7-9 at the Cobb Galleria in Atlanta, GA. This prestious award recognizes the best of the best in demonstrating gorgeous landscape design and unique materials within the exhibition area. 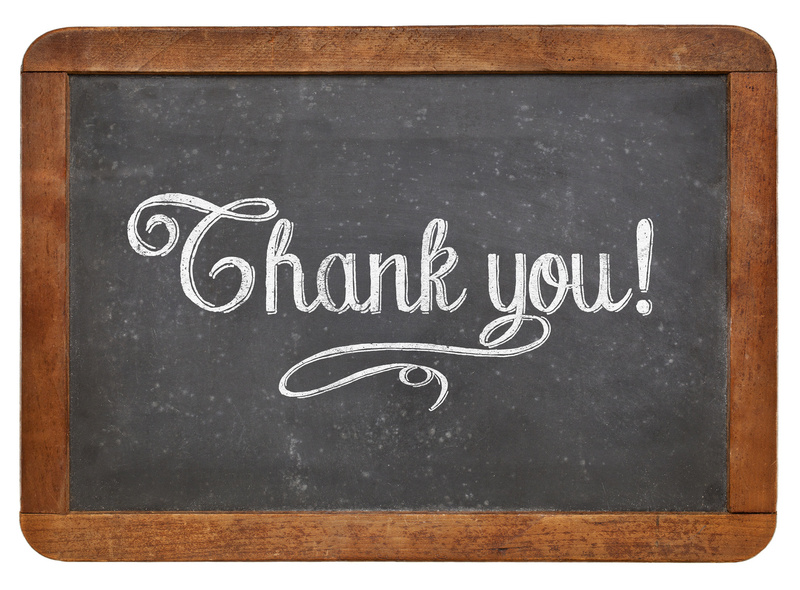 We are thrilled that our work has been recognized. Todd Guilemette, owner of Unique Environmental Landscapes and a top metro Atlanta area landscape professional, also spoke with Ahmed Hassan from Yard Crashers on HGTV on stage twice, cementing his place as one of the Atlanta area’s premiere designers. Additionally, Walter Reeves aired live from the Home Show and referenced Unique/Todd, as well. 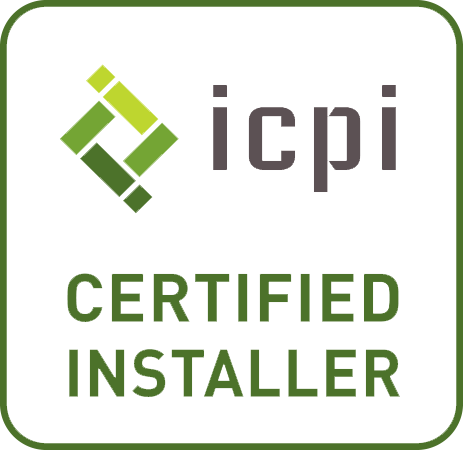 Yes, it’s good to be recognized as the best of the best, but it’s even better to bring that design, installation and maintenance experience to your home or business. Give us a call today! Unique has created many award-winning landscapes in the metro Atlanta area using a wide variety of plant material. 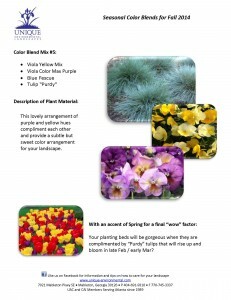 We would like to introduce you to three spectacular plants that you may want to consider for a truly unique landscape. 1. 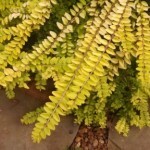 Golden Boxleaf Honeysuckle: This is a colorful, mounding small shrub ideal for partially shaded areas. 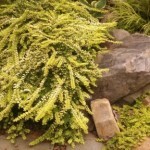 It accents well with hostas, perennials and is an interesting eye-catcher in rock gardens. 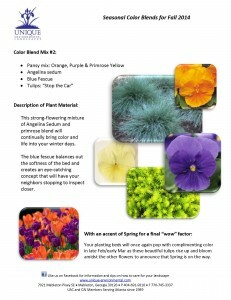 It will create color accents from spring through winter with its form and cascading foliage. 2. Blue Star Creeper: One of our favorite ground covers, the Blue Star grows in partial shade to full sun. 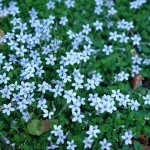 In the late spring it displays a beautiful soft blue flower and continues to grow until winter when it goes dormant. Wouldn’t this look beautiful on your walkway to your outdoor living space? 3. 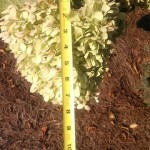 Limelight Hydrangea: Last, but not least, look at this gorgeous hydrangea! These pictures were taken in my own yard and as you can see, the blossoms are plenty and huge. 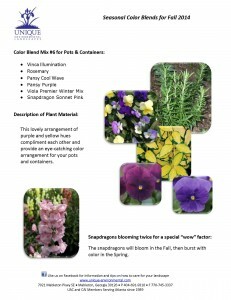 This is a mid to late summer flowering plant that does best in full sun to partial shade. Be sure to give it plenty of room to grow! Are you ready to elevate your outdoor living space to something truly spectacular, and then let the professionals provide maintenance so it looks great all year long? That’s what we do best at Unique Environmental. Contact us today and let’s get started on a great project. Author Kurt Vonnegut once said that one of the primary flaws of human character is that “everybody wants to build and nobody wants to do maintenance. “ While that is certainly true of many, it can’t be said of Mark Truelove, the director of landscape maintenance for Unique Environmental Landscapes, which provides expert landscape maintenance, as well as design and installation, throughout the metro Atlanta area. 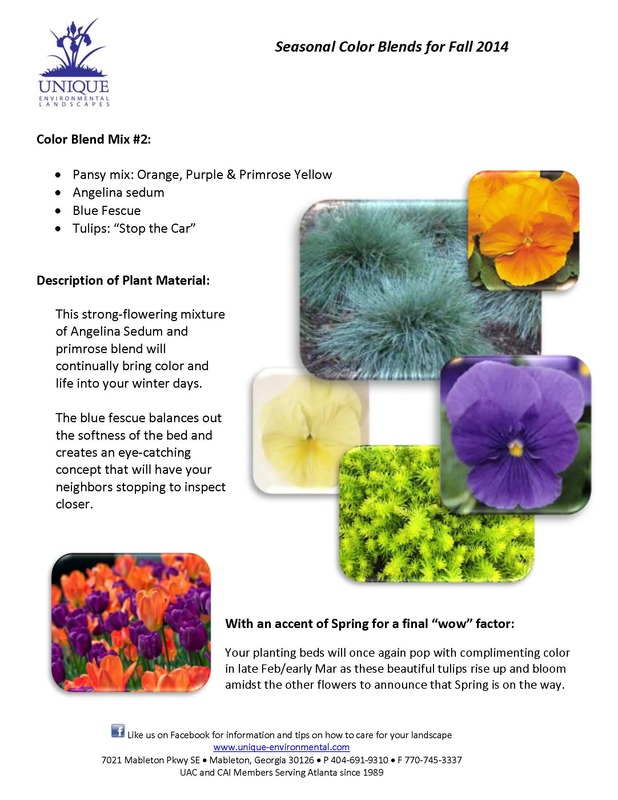 He and his certified crew handle every aspect of residential, commercial and HOA landscape maintenance, including seasonal color, pruning, fertilization and more. 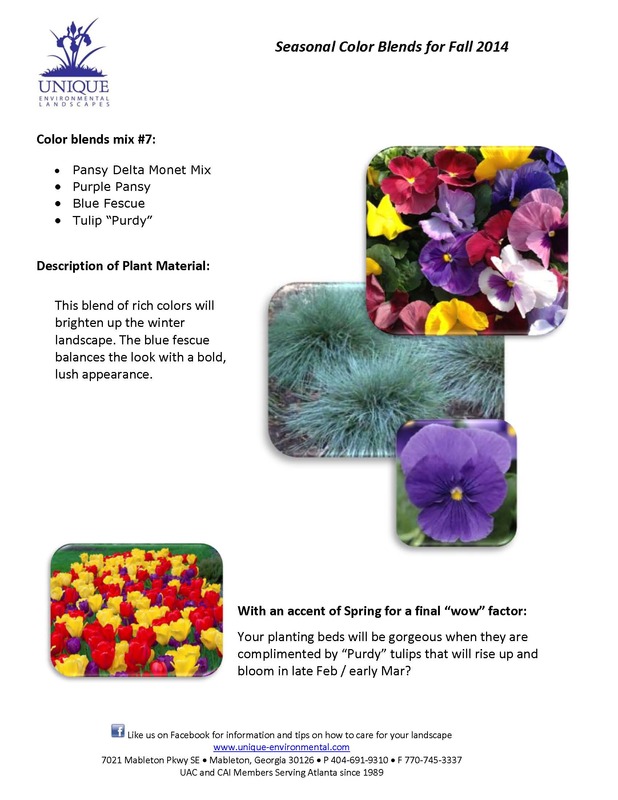 During the design process at Unique Environmental, every plant or tree is carefully selected for not only the aesthetic beauty of the landscape, but also with a careful understanding of how the plant or tree will mature in the landscape and the type of maintenance it will require. “Very few landscape professionals pay such close attention to the plant’s or tree’s calendar, but we do because we want thriving landscapes for the longterm,” adds Mark. 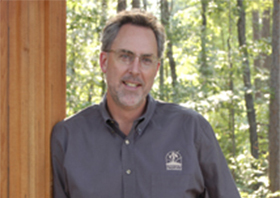 It is precisely Mark’s considerable landscape knowledge and extensive horticultural experience that makes him, his crew and Unique Environmental the best in the Atlanta-area landscape business. “The best landscapers know that it takes vision, honesty and integrity to design and install landscapes that will stand up longterm,” Mark says. “You have to get beyond the ‘developer mentality’, which focuses on the easiest and the cheapest plant material, and give consideration to maintenance needs, functionality and maturity. That takes experience, planning and preparation. In fact, because of dramatic innovations in machinery, technology and even plant materials, Mark and all of the staff at Unique Environmental continually stay abreast of research and routinely update equipment. Mark points out that Unique Environmental sets the bar for the landscaping industry – and it’s all based on passion, knowledge, mutual respect and understanding. Mark does have a true love for landscaping maintenance and design – and it shows. If you’d like to put Mark and his team’s passion for maintenance and landscaping to work for you, contact us now.